Maybe the key to short stories is in the word short. Keeping it short has always been a problem for me. However, in thinking about it recently, I came to the realization that the best short story I have ever written was just seven letters long…HIStory. I’ve reflected a lot over this past year following his death on the extraordinary opportunity that I had to know and work with Michael Jackson and to come up with the name for his double-album greatest hits. At times, I really minimize it, because everyone who grew up listening and experiencing his career over the past four plus decades really did have an insight into him. I also know a number of people who had as much of a relationship or more than mine with him. We all knew him as a child. He was a cute little boy and super talented, and seemingly so joyful! We knew him on Broadway in “The Wiz”. We knew his family relationships… the brothers… the sisters… the bad relationship with his dad. We watched him as he evolved into the biggest artist and celebrity on this planet. We knew his friendships with Quincy and Diana, and Elizabeth, and Bubbles, and McCauley. 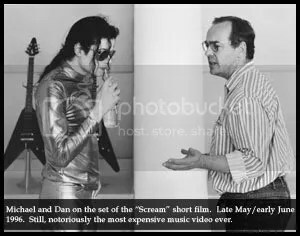 He took us into a new realm of “short films” as he called them, first with “Billy Jean”, and then “Beat It”, and “Thriller”. We marveled at his business instincts in buying The Beatles music publishing catalogue. He dropped our jaws when he Moonwalked on “Motown 25”. We watched in horror as his brain caught fire in that infamous Pepsi commercial. We speculated on his skin color and what he was doing to it. We questioned the plastic surgeries and counted the noses. We watched a sparkling, dynamic career sink into the mire of questions about child molestation. We shook our heads as the plight of his fortunes as bankruptcy loomed. We heard of his battles with the corporate world. We raised a brow to the possibility if his last tour would ever happen or bring him back. And finally, we saw his sleepless end in a rented mansion at the hand of a rented doctor. No one needed to be an “insider” to know Michael Jackson. 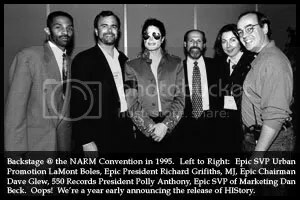 My work with Michael came to a conclusion at the end of 1996, when I left Epic Records to launch V2 Records in North America for Richard Branson. The previous six years were utterly exhausting working with The King of Pop. 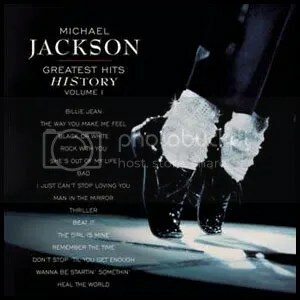 After marketing the “Dangerous” album, the idea of a “Greatest Hits” emerged from the record label as the fastest way to generate more revenue from the MJ brand. Record companies are always thinking that way. 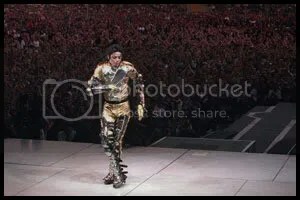 And while we waited on the ruminations from Michael’s camp on the next album project, I spent about 18 months putting together the “Dangerous” home video. It was my initial experience, first-hand, of how detailed and big Michael thought. Without Michael, we probably could have finished it in a month and spent $30,000 compiling the contents. As it turned out, we spent about $400,000 and that year-and-a-half clearing orchestral arrangements, finding lost footage and editing and re-editing. All of this came with a great enthusiasm from Michael. He thought through every detail and enjoyed making every element of it. The line producer and I were constantly on the phone, and just elusive steps from calling it a wrap for many months. I reviewed edits and re-cuts every week for months. I went from week to week thinking we would finish by that Friday, only to see many more Fridays come and go. This was, of course, just the warm-up to the Greatest Hits project. The initial plan was for Michael to quickly record a couple of new songs that could be released as singles to drive the sales of a full album of hits. That was somewhat the formula for many Greatest Hits packages by other artists. However, this was Michael Jackson, and his ability to envision almost every initiative as “bigger than life”, was his life’s work. The recording went on… and on. And three years later, there were three studios and a team of producers and engineers working 24-7 on music for the album. The single album Greatest Hits had expanded into a double album; one of new material and the other containing the best of his previous hits. David Glew, Chairman of Epic Records, became deeply immersed in getting Michael to finish the album. He was the cheerleader and he nudged and cajoled both Michael and his manager at the time, Sandy Gallin. Dave and I shuttled back and forth from New York to LA to keep Michael focused on finishing the album. In the meantime, Michael was constantly looking for that next brilliant idea, that next giant breakthrough, the most unforgettable hit, to make this the biggest album of his career. And as the recording process moved forward, the challenges became greater. I believe it was on Columbus Day of 1992, Michael’s attorney announced a noon press conference to address the child molestation charges that had recently arisen. Coincidentally, I had an interview previously scheduled with the Los Angeles Times to set up the release of the Dangerous home video for the exact same hour! Talk about a gut check after 18 months of work. I wanted to cancel the interview, as I thought it would turn into an Epic Records response to the charges against Michael. However, after a series of calls with Dave Glew who was with Tommy Mottola in Montauk, Long Island for the weekend, they insisted that I do the interview. Amazingly, and almost unfathomably, the interviewer never asked me one question about it on the same day as the media exploded with coverage on the charges. That day really marked the beginning of what was arguably the most challenging and daunting marketing campaign a record company has ever faced. We now had the world’s biggest superstar working on the completion of his Greatest Hits while facing the most serious and image exploding charges an artist could ever face. The next 44 months brought me closer than ever to Michael; put me face-to-face with a sometimes enraged media, and the daunting task of building a complex marketing pyramid that looked capable of collapsing at any moment. Over the next couple of years, the negative media coverage of Michael continued to pile on. Wacko Jacko became the branding that seemed to be on TV and in print on a daily basis from a media momentum that seemed hell-bent on declaring him guilty and taking Michael down. In the meantime, Michael seemed less than willing to defend himself to the media. At one point, he was photographed at EuroDisney with a group of children. In a subsequent meeting, Dave, Polly Anthony, and I, with Sandy Gallin, urged him to avoid these types of media situations as it only served to enflame the press to further trash him. He saw it all as a concerted plot against him, and he was not going to let the media railroad him into changing his life or to abandon his commitment to the causes of children. He was adamant. We were caught in the mind-bending and agonizing process of trying to make sense of all of this, to give Michael the benefit of the doubt, to support our contractual commitment to him, and try to move the creative process on his album forward. There were countless steps as this situation evolved over the next couple of years. However, to make this tale as succinct as possible, let’s jump ahead three years to 1995. As Michael’s high profile legal issues moved toward settlement, and the album came closer to completion, I asked Sandy Gallin if Michael had a name for the album. Sandy said “No,” but why didn’t we (the record company) come up with some suggestions. I expressed to Sandy that since this was the culmination, at that point of Michael’s solo recording career, that Michael might have some very personal thoughts on it. However, Sandy insisted that we come back with suggestions. Maybe Sandy knew something that I didn’t, but I thought it was ridiculous that the record company was charged with coming up with a name for the album. How impersonal can you get? That evening, I stopped by Dave Glew’s office, as I often did around 7 o’clock as the day’s dust settled on the issues of the various major artists I worked on. We would pull together our thoughts, make immediate decisions, or leave the more challenging ones with Dave for further review with Mottola’s brain trust, which included Mel Ilberman and Michele Anthony. In the case of Michael, Polly Anthony (no relation to Michele) was often a part of the discussion. At this point in her career Polly headed Sony’s 550 Music label; but previously she had overseen Epic’s national radio promotion and still maintained a very strong personal relationship with Michael. Polly had great instincts about Michael and knew Sandy Gallin well. Often, the discussions in Dave’s office about Michael were Dave, Polly, and me, and that evening it was the three of us. In many ways, it felt like Dave, Polly, and I represented the last supporters of Michael at Sony Music. He did not represent the current musical tastes of many in the company and with his damaged image, many had moved on to the cause of new acts. And since the costs of marketing Michael were astronomical, we often tried to keep the details out of the company’s weekly meetings and away from a young, energetic staff that was thriving on the more organic and refreshingly minimalistic campaigns for artists like Pearl Jam and Rage Against the Machine. Although Michael would ultimately be paying for most of the costs, the discussions about bloated video budgets often seemed old and obscene. 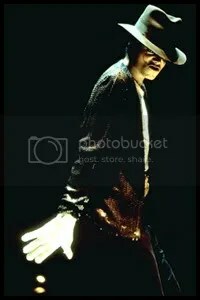 This was 1995 –not 1983, when Michael had ruled the international music world during “Thriller’s” record-breaking success. I told Polly and Dave about the conversation with Sandy, and that he wanted us to come up with a name for the album. We talked about it really being a personal decision that should be left to Michael. However, we felt that unless we initiated some thoughts on it, no one would push Michael to focus on the album title. As we concluded this short conversation, Polly wistfully said, “I wish Michael had a name for his Greatest Hits as cool as Madonna’s ‘Immaculate Collection.’” She was right. Michael deserved to have a name that was such a unique play on words that made an indelible statement about his career. That night I took the Long Island Railroad home. Polly’s words really consumed me. Then, I started thinking about the three or four songs that Dave and I had heard in the studio on our last LA trip. The new songs were darker. Lyrically, Michael seemed to be answering his critics through his new music in a way he had not done in addressing the media. In the confusion of his response to all the allegations, I frankly did not know what to believe. What was the real story? 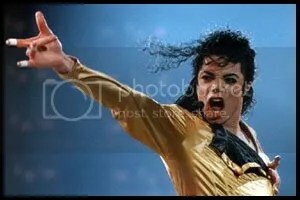 However, Michael was actually expressing his anger and response through his songs. I guessed this was ‘his story’ about all of this. Then, I thought, the second part of this double-album, the previous hits, was his musical history. His story. I wrote it on a legal pad and played with it. HIStory. The next day, I went up to Dave’s office at some point and Polly and Dave and I met briefly. I mentioned the HIStory idea, and it didn’t really resonate. I also faxed a hand-written version of the idea to Sandy. …And I never heard another word about it. Nice try. I thought it was pretty good, and was disappointed that no one jumped at the idea. However, you let it go and move on. The velocity of daily business came at such a rush that there simply was no time to linger over an idea that elicited no response. Several months later, the album was nearing completion. Dave flew out to LA and heard much of the completed new material. He came back to NYC in a lather that we needed to get concepts moving and pronto. We had a meeting with Arnold Levine, who headed Creative Services for Sony Music. An idea surfaced to offer a bounty of $1,500 to $2,500 to various creative people (copywriters and designers) within the company, and designers, illustrators, photographers, and ad agency people outside the company to come up with concepts for Michael’s Greatest Hits. If an idea was accepted, then that person would be commissioned to complete the concept. 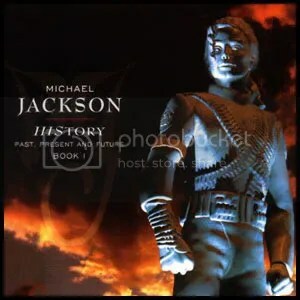 All ideas were to be sent to Nancy Donald, who was head of Design for Sony Music on the West Coast, and the person who had overseen the packaging design for previous projects for Michael. Nancy has spearheaded a phenomenal list of album packages over the years for artists such as Barbra Streisand, Gloria Estefan, and many others. Michael loved her for her talents, her attention to detail, her patience, her sense of humor, and her wonderful ability to prod him forward to get it all done. Within a couple of months, Nancy’s office was overflowing with presentations. Some were simple paintings and sketches; some were enormous murals, and some were giant books of full concepts. A day was scheduled for us to take them all to Sandy Gallin’s office and for Nancy and Arnold to present them to Michael. Dave and I were, of course, scheduled to be there to help move Sandy and Michael toward some conclusion. We had amassed over 60 submissions for this meeting. Nancy acquired some help, I believe from a couple of college interns, and we had a van to haul all of these presentations from the Sony Music offices in Santa Monica, to Sandy’s office near La Dome on Sunset Boulevard in Hollywood. We arrived about an hour before the meeting was scheduled to load all of this material into Sandy’s conference room. It was a huge physical job and extremely unusual. It was a presentation that would happen only for Michael Jackson. Arnold, Nancy, and I just about dropped everything we were carrying. We were speechless! Stunned! Here we were unloading over $100,000 in concepts to be reviewed with Michael in the next hour, and he had opted to use an idea I had submitted in a hand-written fax some six months earlier. I was completely torn between an overwhelming sense of loss for what we had just spent in time and money… and the stunning thought that Michael wanted to use my simple concept. And since this was the world of Michael Jackson, I wasn’t entirely sold that what I heard was really happening! Along with the interns, Arnold and Nancy and I dutifully continued to unload and set up all the presentations for the meeting in silence. I remember feeling a bit embarrassed in front of Nancy and Arnold. They must have thought they had just been roped into a crazy MJ fire drill that was going nowhere. When we were ready and Dave Glew and Sandy had joined us, along with some of our Epic colleagues from the West Coast, suddenly Michael appeared. A board meeting table filled the room, but one end was pushed against a wall. Nancy and Arnold stood at the other end to present, as the rest of us sat on either side of the long table. Michael, all smiles, climbed atop the table and sat against the far wall. I had occasional phone calls with Michael on various issues, but we had not discussed the concept. I recall trying to make myself invisible in the room. Anything I might say could be construed to having an agenda. The King of Pop dressed in his trademark faux military jacket with epaulets, simply giggled through the entire presentation of over 60 concepts for his double-album greatest hits. Other than an equal ‘Hello” to each of us, Michael never directly spoke to me that day. When Nancy and Arnold finished the presentation, Michael said how much he enjoyed them and appreciated all the work that went into them. No decision was mentioned that day. He didn’t latch on to any particular concept with his enormous enthusiasm, as he was wont to do. Then, he left. The presentation was HIStory! So was that the end of developing the concept? No, this was Michael Jackson. We were about to take a simple idea and see it grow into a 600’ statue! How could something get so convoluted? It was enough to make you wish he hadn’t picked your idea. Yes, this was Michael Jackson. You can’t make this up… there was nothing simple or short in making HIStory! What was so unique about Michael was that everything we did took on this larger-than-life… Over-the-top… How did we get here? Where are we going? Complicated… Difficult to explain… Reality all of its own. If you saw “This Is It”, you got a good reflection of the relentless dedication, the talent, the brilliance, and the enormous expanse of his work. He was an amazing collaborator and a dreamer of the highest order. In many ways he was fearless. He was a visionary and he also had his blind side. As utterly exhausting as it was working with him, there are many others who had experiences similar to mine. What remains staggering to me is the passion and energy he committed to a public career that spanned some 46 years. He didn’t compete with other artists. Michael’s challenge was immortality. There are no short stories here. Almost every situation I was in with Michael had an extraordinary element to it. Each is a story that I could go on and on about. I have spoken to so many people who remain completely intrigued with him. Imagine, he had a complete lifetime of extraordinarily unique experiences that happened virtually every day. Everyone who ever met him has a story to tell. The fact is, millions of people who consumed his music and witnessed his media all have a story about him too… because we all knew him. …And in so many ways, we never knew him. I still find it hard to believe that I actually had the opportunity to work with him. It was a little stunning to pick up the New York Post as I caught the Long Island Railroad to work one morning and read a headline that exploded across the entire front page: “Michael Jackson Makes HIStory”. I wanted to jump out of my seat and tell everyone on that train car “I wrote that!" But by the time the album actually came out on June 20, 1996, I was over it–exhausted by the giant slog it had taken to make HIStory. Michael for his part rarely seemed fatigued by the enormous effort required to create and sustain his career. Frankly, I cannot imagine the weight of it. The media will be all over “his story” in the next couple of weeks as we approach the anniversary of his untimely death… or was it timely? It’s as though he orchestrated the ending. Was it his extraordinary sense of timing, of theater itself? His life was a story cut short… but you and I know it will be written about for generations to come.